Tim Goodman at the Hollywood Reporter reviews Netflix's Narcos. The world doesn’t seem to lack for Pablo Escobar biopics, so it should come as no surprise that Netflix also gets in on the action with a 10-part series called Narcos, which separates itself from the pack with an impressive breadth and depth. In many ways, this series could end up being the critically-acclaimed international breakthrough for the streaming site thatMarco Polo wasn’t (though it got a second season), partly because the writing, acting and directing are superior and it has a grittier and more grounded feel to it. Those factors are essential, since there have been so many movies about the Colombian drug kingpin already and the series is coming into a very crowded drama landscape. 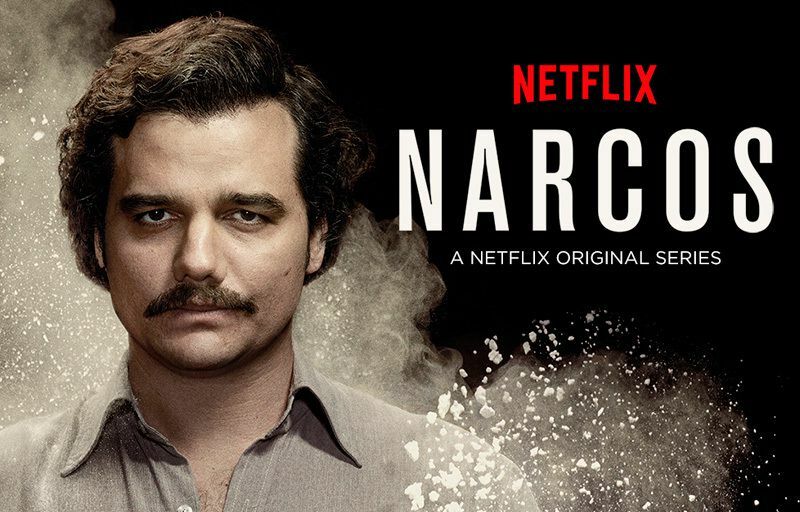 What Narcos has going for it is that Escobar’s story is, on so many levels, so stunning and strange, that the drama doesn’t have to be truncated or rushed, and can cover far more than just his rise and fall. In fact, Narcos is rumored to be well on its way to second-season renewal.